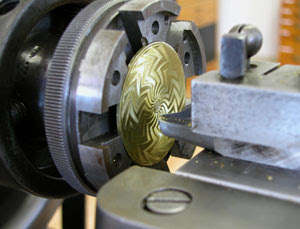 Guilloché (gee-yoh-shay) is an art of ornamentation. Any pattern which is created by interlacing 2 or more spiral-like curves around the central space, a guilloché is formed. 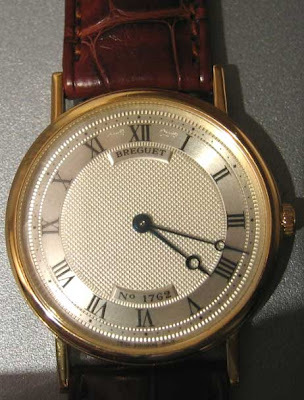 In 1786, Breguet was the very first watchmaker who engraved the guilloché onto the dials. Nowaday, a Breguet is easily recognizable from the guilloché craftsmanship, the blue pomme hands, and the coin-edge motif. 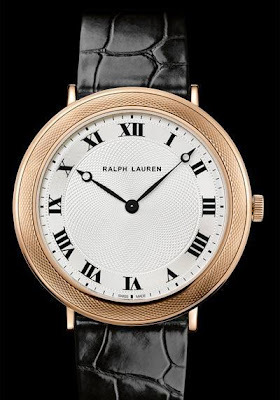 In 2009, I believe Ralph Lauren has taken the inspiration from Breguet, and developed its very first classic, slim timepiece. Polo Ralph Lauren Corporation (NYSE: RL) announced they have come to the end of the partnership with their licensee, Dickson Concepts International Limited in the Southeast Asia markets. 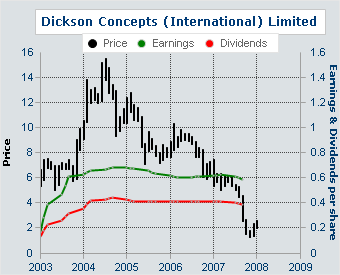 At moment, Dickson is managing the brand in China, Hong Kong, Indonesia, Malaysia, the Philippines, Singapore, Taiwan and Thailand, and will continue to operate the business till the end of 2009. The decision on the direct control is intending to leverage a world-class managerial, marketing and merchandising capabilities of the company to deliver significant revenue and profit growth over the long term. Polo Ralph Lauren Corporation (NYSE: RL) is a leader in the design, marketing and distribution of premium lifestyle products in four categories: apparel, home, accessories and fragrances. 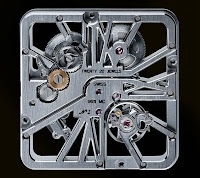 The company's brand names include Polo by Ralph Lauren, Ralph Lauren Purple Label, Ralph Lauren Collection, Black Label, Blue Label, Lauren by Ralph Lauren, RRL, RLX, Rugby, Ralph Lauren Childrenswear, American Living, Chaps and Club Monaco. luxist.com reports Bedat & Co. may close its business in the nearest future. Though no confirmed source has been quoted, it shouldn't be a mere allegation under the current economic situation. 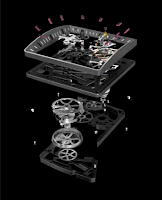 Being a business partner with Raymond Weil for 20 years, Bedat & Co. was being branched off by Simone Bédat and his son, Christian in 1996. By 2006, the Gucci Group owns 100% of the company and the founders departed. 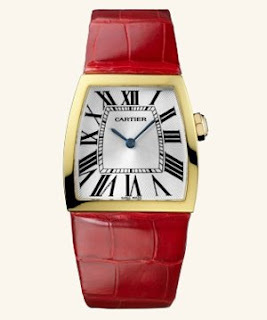 Posted by whatsoever.hk at Thursday, February 12, 2009 Labels: 1976 - Raymond Weil, 1996 - Bedat et Co.
Is it a "slim-up" La Donna with a JLC's Heart? Gosh! 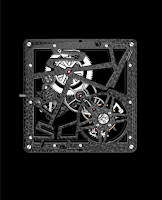 Funny how, the latest release of Santos 100 Skeleton reminds me how great once the Roger Dubuis was. "Drawing Hands" by M.C. 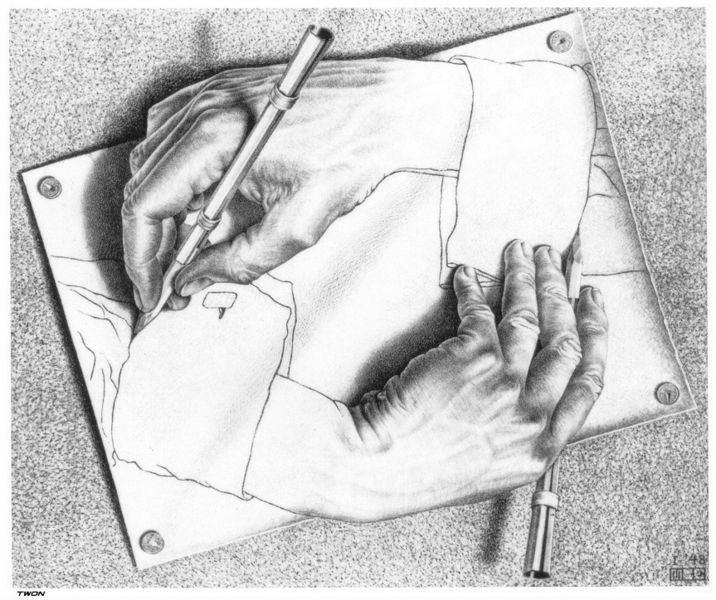 Escher is a wonderful surrealism art piece. It tells the existence of people is not by chance. The existence of oneself is supported by the existence of the others. The existence of the others is completed by you. Life is full of surprise, isn't it.